I've spent the last couple of years not living up to my full potential because I was so concerned about what people would think. "I can't say that because I would offend this group or that person"
"No one else is saying or doing that" and other thoughts like that consumed me. I'm really working on truly putting myself out there without worrying about any of that. I finally embrace my voice. I want to stay true to my art. 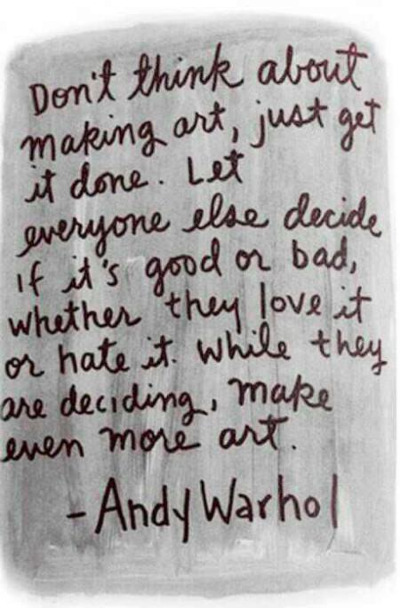 Like Warhol says, "...while they're deciding, just keep making art."